Women’s pearl and blue gemstone necklace. 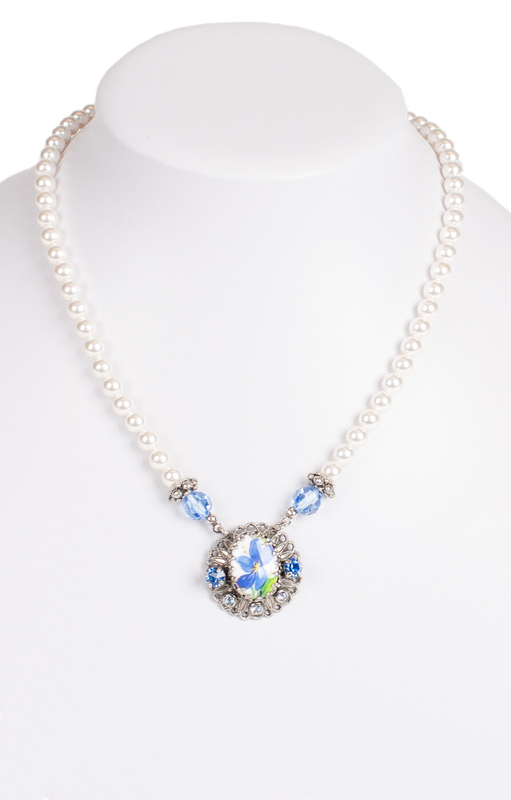 This undeniably feminine and elegant necklace boasts a pearl bead chain that measures 42 centimetres in length and supports a large blue flower pendant. The centre of the pendant is surrounded by dazzling gemstones and traditional Bavarian-style lacework and this is the perfect accessory to wear to a special event such as Oktoberfest.